The Federal Trade Commission is warning publishers to be careful in their handling of what's called "native advertising." 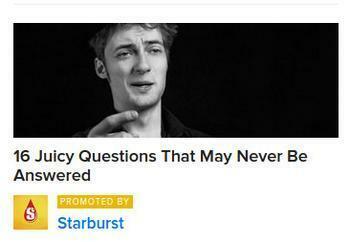 A clearer name is "sponsored content." But whatever you call it, it's not news and shouldn't be presented as such. Mary Engle, associate director of advertising practices for the FTC, told an advertising conference earlier this week that the commission is keeping an eye on the increasingly popular practice of running paid content that is mixed in with news on websites and elsewhere. They're sort of the infomercials of the digital age and the general attitude is that they're perfectly acceptable as long as they're clearly labeled. “For us, the concern is whether consumers recognize what they’re seeing is advertising or not,” Engle said at the Clean Ads I/O conference in New York City on Wednesday. She said that traditionally, the FTC has not held publishers responsible for misleading ads on their properties, whether they were TV networks, radio stations, websites or apps, regarding them as just a distribution channel. “But when the publisher is creating the content, they’re more involved in the process, and that creates some potential liability,” Engle said, according to AdExchanger.com. It's not so much the content the FTC is concerned with but rather how the paid stories are displayed and labeled. Engle said just putting a small "sponsored" label on a story isn't enough and noted that the agency has won previous cases in which "advertorial" was printed in such a tiny font that virtually no one noticed it. “An ad is deceptive if it misleads a significant percentage of consumers,” Engle said, adding that the FTC uses tests that determine what consumers saw to measure how misleading an ad is.